NSW Chief Scientist & Engineer, Professor Mary O'Kane, was directed by the Premier in February this year to conduct an independent review of the state's coal seam gas activities. On 30 July this year, Professor O'Kane released publicly an initial report from the independent review. The initial report contains a number of recommendations to the NSW Government. In the next phases of the Review, Professor O'Kane will address in more depth the principles that can underpin setbacks and exclusion zones; international best practice; risk characterisation and mitigation; as well as undertake a comprehensive study of industry compliance. The independent review is expected to continue well into 2014. Professor O'Kane's initial report can be read in full here. 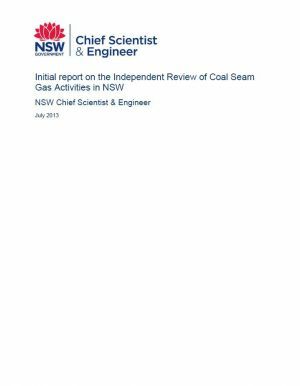 The independent review of coal seam gas (CSG) activities in NSW by the NSW Chief Scientist & Engineer commenced in late February 2013. This is the initial report of the Review, which was requested by July 2013. Based on consultations and submissions to date, the Review makes a small number of recommendations aimed at improving the information available to the community and assisting the Government to build confidence that it has the intention and capacity to oversee a safe CSG industry. CSG is a complex and multi-layered issue which has proven divisive chiefly because of the emotive nature of community concerns, the competing interests of the players, and a lack of publicly-available factual information. The debate has been fuelled by unanswered concerns surrounding landholders' legal rights, land access and use; human health; the environment, particularly relating to impacts on water; engineering and operational processes; and industry regulation and compliance. These issues remain matters of contention. The challenges faced by government and industry are considerable and a commitment from all parties will be required to improve the existing situation and build trust with the community. From a technical and scientific standpoint, many challenges and risks associated with CSG are not dissimilar to those encountered in other energy and resource production, and water extraction and treatment. Some challenges are well defined and can be effectively managed through high standards of engineering and rigorous monitoring and supervision of operations. Other challenges relating to long-term and cumulative environmental impacts are less obvious and require a commitment to significant and ongoing research, as well as a consequent evolution of engineering practice. This initial report aims to explore the many issues of community concern – drawing on material learned through listening to stakeholders and applying an evidence-based approach to problems. Based on the work done to date by the Review, this report recommends the NSW Government commit to adopting a vigilant, transparent and effective regulatory and monitoring system to ensure the highest standards of compliance and performance by the CSG industry. As a first step, the Government needs to institute a strong and sophisticated policy for data collection and data handling, and establish a whole-of-environment data repository. The Government should also implement stronger conditions around the training of CSG operators, and champion further research on the unanswered questions around the science of CSG. There is, however, more work to do. Based on preliminary investigations, the Review will continue the industry compliance study and the study of best practice in unconventional gas extraction technologies and regulation. 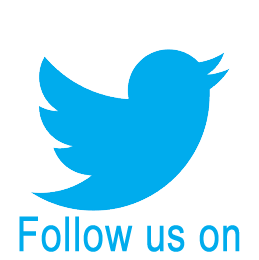 It will also commission studies on risk and on exposure pathways for chemicals and contaminants. In addition, the Review has identified areas around land owner compensation, company insurance and operator penalties which could be strengthened and, as such, has commissioned further legal work in these areas. The issue of CSG in NSW is a very tough one with many complicated parts. A commitment to sound policy implementation based on highly developed data and further research to fill the knowledge gaps will be essential.